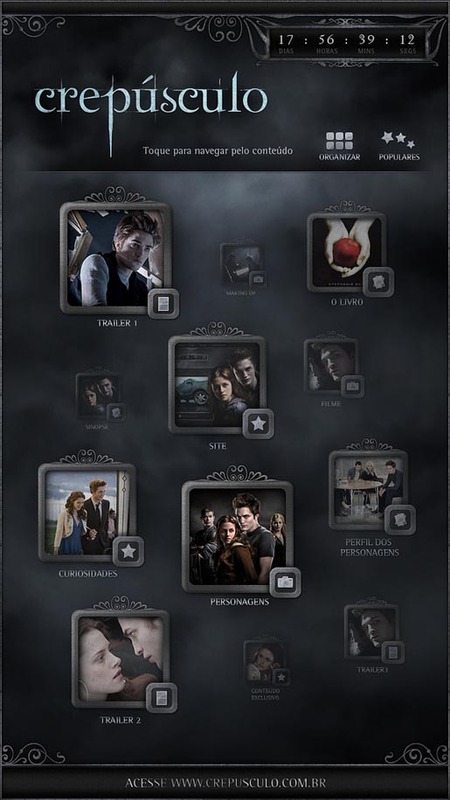 Ginga, an interactive agency in Brazil, is behind the online and offline promotion of the movie Twilight, (Crepusculo) preparing Brazil for the launch of the movie on December 18. Interactive posters, featuring Bella Swan (Kristen Stewart) and Edward Cullen (Robert Pattinson), were installed at various terminals of the Sao Paulo subway system. Passengers in transit are able to interact with video and animated content on the screen, as well as download special content for mobile phones using bluetooth. The poster campaign links pedestrians to the official film site for Brazil, www.crepusculofilme.com.br/ (today’s site of the day) although it appears as though some posters point to www.crepusculo.com.br, a site run by screenwriter and designer Fabiano Vianna. See more images from the interactive posters and site at the Ginga Flickr site.